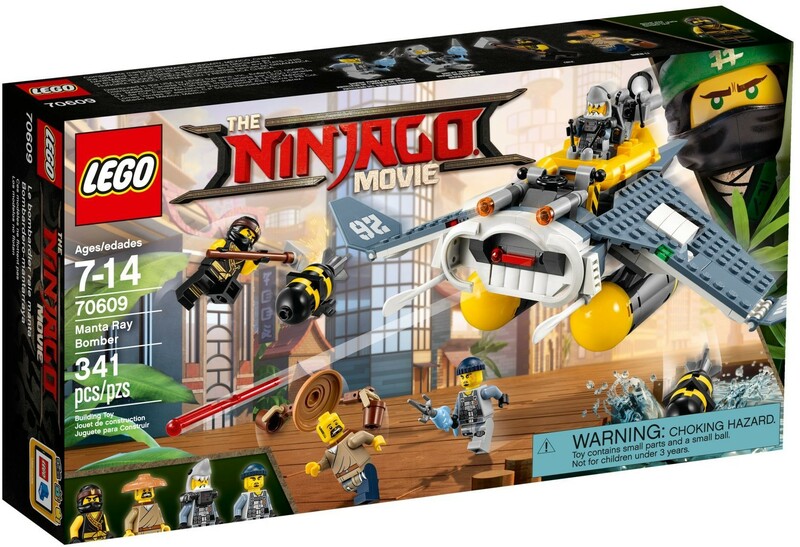 Help Cole save Shen-Li in this cool THE LEGO® NINJAGO® MOVIE™ set, featuring the Manta Ray Bomber with 2 spring-loaded shooters, 2 bomb elements and a detachable boat. 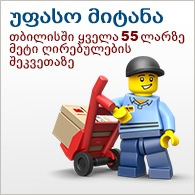 Includes 4 minifigures with assorted weapons and accessories to ramp up the role-play action possibilities. 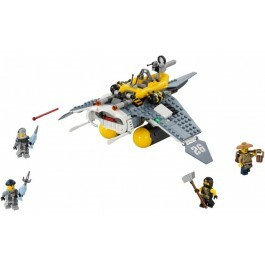 Includes 4 minifigures: Cole, Shen-Li, Great White and Shark Army Gunner. 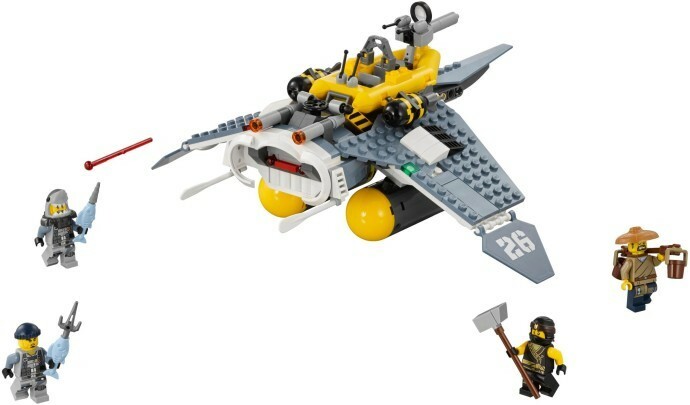 Manta Ray Bomber features 2 spring-loaded shooters, 2 bomb elements and a detachable boat with 2 minifigure seats. Weapons include Cole’s hammer, Shen-Li’s carrying pole with 2 buckets, Great White's fish drill and Shark Army Gunner's fish sai. Manta Ray Bomber measures over 4” (12cm) high, 9” (25cm) long and 12” (31cm) wide. Detachable boatmeasures over 1” (5cm) high, 3” (10cm) long and 3” (9cm) wide.